Eric’s expertise in luxury comes from years of experience of driving premium brands forward, with strategies and innovation that make them excel in this highly competitive category. Eric manages some of the world’s largest luxury brands, sharpening their media practice and injecting his insights and creativity in their communications, thanks to his rich experience. 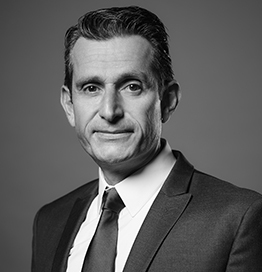 Eric started his career in 1992 in advertising agencies in France and the UAE, handling various accounts including premium brands. In 1999, he moved to the client side, joining Goodyear Dunlop Tires as Marketing Director for EMEA. He returned to the Middle East in 2007, joining OMD to drive the agency’s expansion into North Africa. Today, Eric heads our luxury practice in the region, using his rich experience to keep his clients at the forefront of their categories.